Opinions are mind candy. Candy can be enjoyable in moderation, but in excess leads to discomfort, illness, and cavities. Facts can exist without the added sugar coating of an opinion. When used in moderation, opinions can be useful tools for action in alignment with the reality of the present moment. Identification with opinions, which is to the ego as spinach is to Popeye, creates a veil of thought over all perception. Present moment reality becomes obscured; you can no longer see the depth of the lake because of the billows of sand just beneath the surface. There is an easy way to settle the sand and see clear through to the bottom of the lake. Identification with opinions can be dissolved merely by noticing the opinions as they arise. Once you can see yourself thinking, you no longer are your thoughts. What will the world look like from this new perspective? 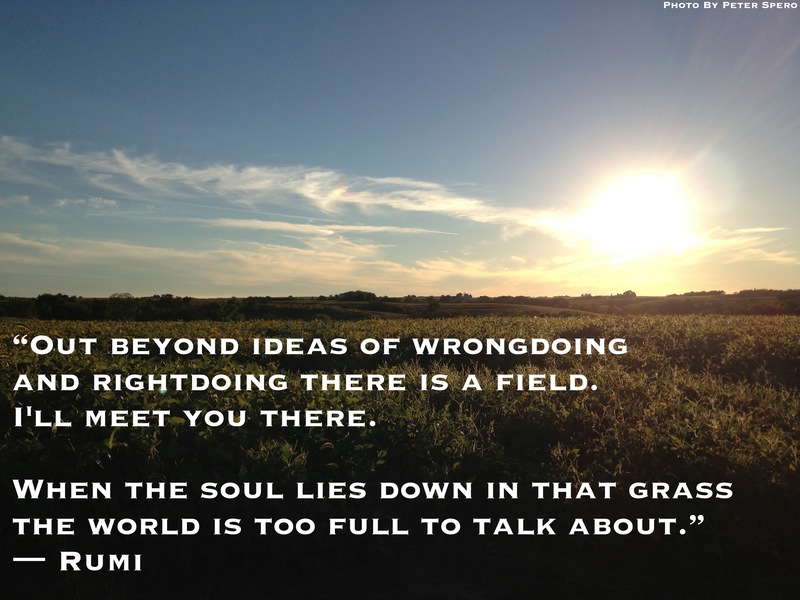 “When the soul lies down in that grass the world is too full to talk about,” (Rumi). → What’s stress got to do with it?